Why Turtle Island Tales? We are people of the land surrounded by water, like the native American story. What affects you affects me. We begin with the story of our short trip to Louisianna with Bill Hudson's Feel Good Tour. Rich Baumann who started a Million Closet Project joined us there. Gordon Soderberg gave us context and hospitality. He's been there since Katrina hit. We decided it was time to see the Katrina recovery efforts with our own eyes and help while we did it. We drove from Pine Bush NY with instuments donated to give to those who lost theirs or kids who need one to play. 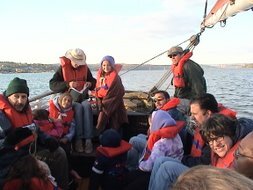 We brought sweaters, socks, gloves and hats to distribute because it was less then 30 degrees at night, damp, windy and a lot like Pumpkin Sail on the Woody Guthrie with a full crew and no boom tent. We brought our instruments, our voices, our hearts and hands. We brought songs to school kids and the working weary. Music is the in the fabric of the rich culture of the delta. Consider if you can make time to volunteer. There are many groups to pick from and many jobs to do. Louisianna was the second poorest state before the hurricanes hit and it's a mess. Slidell to Buras is like NYC to Albany, NY. The area affected is much larger then what we saw in five days. Mississippi, where Bill and Al will bring the Feel Good Tour in April is in similar shape. It's a huge human tragedy. It's not fixed. It's not over. You may not read about it or hear about it. But it's not over. Still there is joy and hope. We are better for having gone. Check out these links. Figure out a way to help. Some of the work getting done is being done by young people who have energy, awareness and idealism (phew! We've been hoping to to see that again). Learn about what's really going on and spread the word. Person to person. We just might reach critical mass and turn the tide. Contact us if you have a group that wants to hear about this. The beginning of the blog is at the bottom, new posts are at the top. We went back in 2008 with an organ delivered to a church for it's organist. 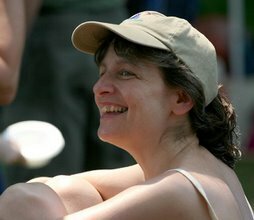 We lived double life for eight years, in the start of the tropics during the winter and in the foothills of the “Gunks” in the summer. Mel grew up in a “Little Box” in Levittown. Vinnie was born in Gravesend, and has been working his way back ever since. 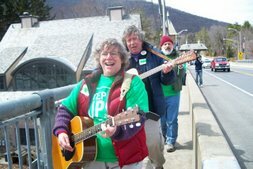 Mel has been singing songs with her guitar for fifty years now. She sings songs that mean something and might say something. Her writing reflects her passion. Vinnie has been relegated to the guitar since he was fourteen. He envisioned himself as a great sideman to bluesy singers. He found Mel over 30 years ago. They have been singing, playing, writing and living together ever since. Link to the Music for Peace workshop in Burlington VT. Link to Rik Palieri's myspace blog review. 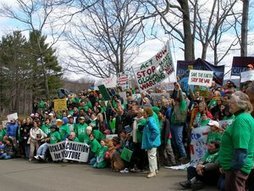 Scroll down to the December 8, 2007 post. Al Coffey song "Mr. Politician"
Here's a video by Mike Meade from the recent Feel Good Tour in March-April 2008. It's of Al Coffey performing "Mr. Politician" copyright 2008. 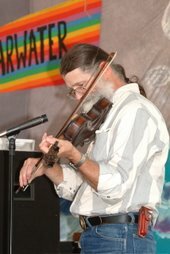 I just put Gulf Coast music and pictures (the PowerPoint) up. We got sidetracked with the Broad Old River Resurrection project. Rich went back delivering a cello to Peter Spring. 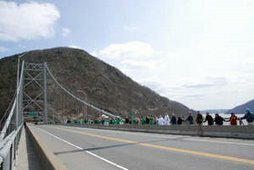 Mike Meade, Elaine Guzman and Al Coffey are preparing to go down in March-April 2008. ALL proceeds of this concert will be donated to the Howland Center's attempt to install an eco-friendly geo-thermal heating/cooling system. Think of this year's Dissident Fest as the cultural nail in the right-wing coffin! Join us. Check out our music page for FEMA Trailer Blues and Why Me Katrina. April 26 Molton Java Coffeehouse, Bethel CT. Joining My Dad's Truck for the second set. 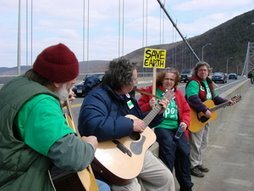 May 4 Mel and Vinnie Quartet play on DJ Kendall’s “Third Stone from the Sun” ’60s and ’70s radio show on WXCI , 91.7 FM, Sunday, May 4, from noon to 12:30 p.m. Western Connecticut State University. 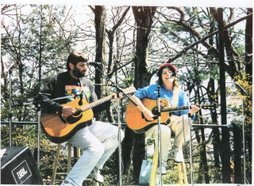 May 4 Molton Java Coffeehouse, Bethel CT. CoHosting a song circle open jam 2-5pm. 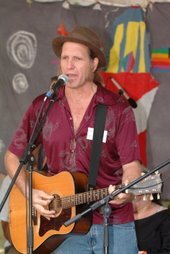 May 10 Roots Music Coffeehouse, 8pm Danbury Ct $10, bring instruments for the open mike/circle of song at 8pm and a post show jam at 11pm. 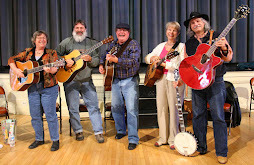 Clearwater Song Circle followed by 2 shows, Great Blue and the Mel and Vinnie Quartet. Portion of proceeds to Clearwater. May 26-28 In New Orleans volunteering with various post Katrina relief groups. 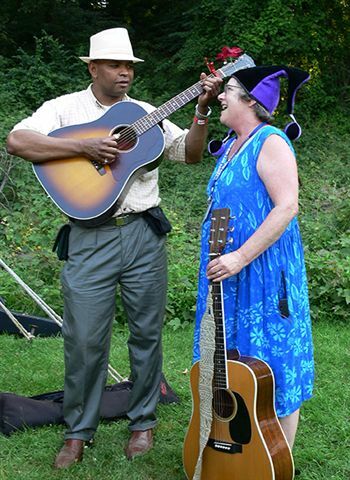 June 21 Clearwater Festival, Croton Point Park, NY 12:30-1 Sing to the River with Mel and Vinnie at Circle of Song. 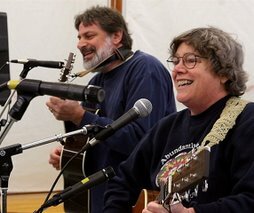 June 22 Clearwater Festival, Croton Point Park, NY 11:45-1 Open Round Robin Song Circle hosted by Mel and Vinnie. 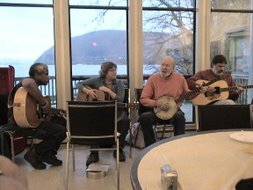 5:15-6pm Hudson River Sloop Singers Reunion hosted by Rick Nestler. August 16 NJ Sloop Club Festival, Asbury Park, NJ. Noon Joe and Vinnie at Circle of Song. 3:15pm Mel and Vinnie on East Stage. August 17 NJ Sloop Club Festival, Asbury Park, NJ. 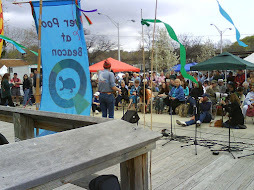 3:00pm Joe and Vinnie at Circle of Song. 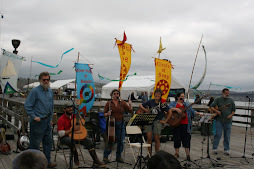 5:15 Hudson River Sloop Singer Reunion on East Stage. September 6 General Montgomery Day with Artists on the Green on the lawn of the Boorland Housem Mongomery, NY. Dance, drama, music, artist in residence and children's activities. November 10 IndieCon 2007,Burlington Vermont. 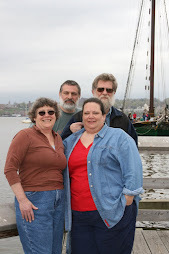 December 14 Holiday Sing at Beacon Sloop Club 8pm Dessert potluck served. Donations accepted for H.R.S. Clearwater, unwrapped gifts accepted for Toys For Tots and donations of instruments for the Feel Good Tour.